Dean Yoshino is the chief executive officer of the ADBI and has responsibility under the direction of the ADB President for the management of the Institute. 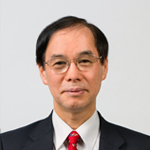 Naoyuki Yoshino is Dean of the Asian Development Bank Institute (ADBI) and Professor Emeritus at Keio University, Tokyo, Japan. He obtained his PhD from Johns Hopkins University (United States) in 1979 where his thesis supervisor was Sir Alan Walters, economic adviser to former British Prime Minister Margaret Thatcher. Naoyuki has been a visiting scholar at the Massachusetts Institute of Technology (United States) and a visiting professor at various universities including the University of New South Wales (Australia), Fondation Nationale des Sciences Politiques (France), and University of Gothenburg (Sweden). He has also been an assistant professor at the State University of New York at Buffalo and an economics professor at Keio University. Naoyuki’s professional career includes membership in numerous government committees. He was named Director of the Japan Financial Services Agency’s (FSA) Financial Research Center (FSA Institute) in 2004 and is now Chief Advisor. He was appointed as Chair of the Financial Planning Standards Board in 2007. He has served as Chairperson of the Japanese Ministry of Finance’s Council on Foreign Exchange as well as its Fiscal System Council (Fiscal Investment and Loan Program Section). Additionally, he has been a Board Member of the Deposit Insurance Corporation of Japan and President of the Financial System Council of the Government of Japan. He was nominated for inclusion in Who’s Who in the World for 2009 and 2013, and was named one of the Top 100 Educators in 2009. He obtained honorary doctorates from the University of Gothenburg (Sweden) in 2004 and Martin Luther University of Halle-Wittenberg (Germany) in 2013. He also received the Fukuzawa Award in 2013 for his contribution to research on economic policy.